Bad bosses are an unwelcome, but all too common, feature of the American workplace. Work environments have an abundance of stressors, but having a bad boss may be the worst. Consider the fact that approximately 50% of American workers have left their jobs in order to get away from a bad boss. In a previous post, I emphasized the pressing need for organizations to understand the direct connection between their managers’ leadership skills and their employees’ health and productivity. Companies don’t stress employees, supervisors stress employees. But what can an individual employee do about a bad boss if their employer has not yet made this connection and continues to tolerate substandard managers? Developing an effective strategy for dealing with a bad boss is often complicated by the well-meaning, but consistently counter-productive, advice that family, friends and co-workers may offer in these situations. Their desire to support you and be sympathetic to the problems your boss is creating for you can encourage and amplify your anger and your sense of grievance. And your anger and a sense of grievance can lead you into some bad choices. I want to be clear that I am not talking about tolerating illegal harassment or management bullying. I am talking about bad bosses whose behavior typically does not rise to the legal standard of harassment. 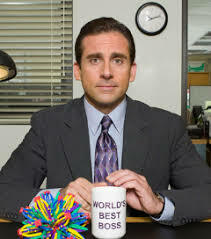 I am talking about micromanagers and what Mary Abbajay has termed ghost bosses (a manager who is never around and doesn’t communicate with you), sea gulls (bosses who “swoop and poop”, i.e dive-bomb your project and make a mess), and incompetents (think Michael Scott). Quitting is one option but for most people that is a last resort. Examine your assumptions about your boss’s behavior. For example, if they are “ghosting” you and you believe it’s because they don’t care about you are going to feel (and act) differently than if you believe it’s because they are very busy or they simply trust your judgment. Do not “assume” your way into escalating a conflict. What are your preferences in terms of how you like to communicate? Do not display your frustration or show disrespect to your boss, especially in front of colleagues. This might be taken as a threat and provoke retaliation. Focus on finding ways to demonstrate that you are a team player and showcase your discipline and tenacity. It would be nice if we lived in a world where your work speaks for itself, but we don’t. Embrace the challenge of marketing yourself effectively. 5. Consult with your EAP if you are too agitated or angry to maintain a positive approach to improving the relationship with your boss. I would love to hear about your experiences (both successful and unsuccessful) of dealing with a bad boss. Please email me at msagor@compeap.com. I will respond to all emails.